With each dawn come new ideas that serve the artist in the process of creation. Drawing from these sources, it becomes the sum of all mornings in the world. Getting to know beauty is a quest for wisdom. 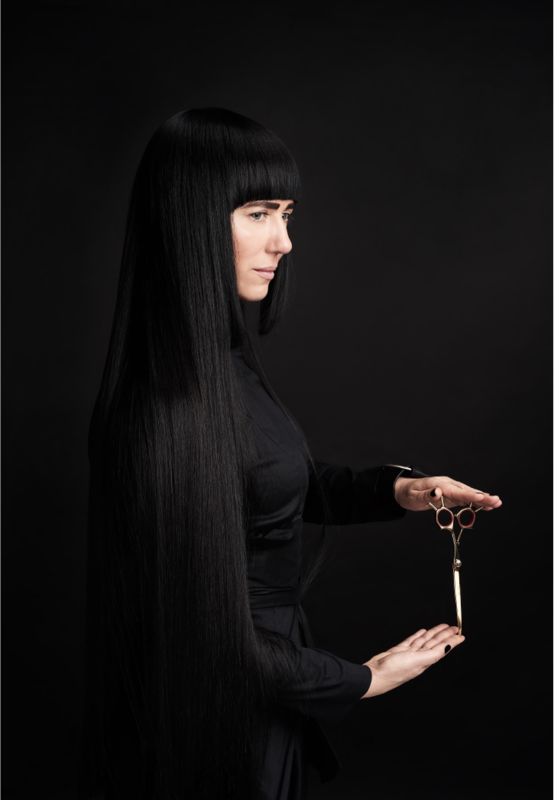 Jaga Hupało is a hair artist, stylist, and a designer. With her work she gives a new shape to reality, visually allowing the personalities of those who come to her to manifest. In them, she seeks inspiration, bringing out their character, emphasizing natural beauty, restoring peace and optimism. She has created a studio that has become a place of artistic and cultural meetings, but above all a studio in which she manages a team of her stylists. Here she created the Academy, where she passes on her knowledge and experience to specialists of art, hairdressing and fashion. Jaga Hupało cooperates with photographers and operators producing photo sessions and films, as well as with other artists in the fields of theater, fashion, film. At the invitation of various cultural institutions, she creates hair styling projects, for, among many, the National Opera, CSW Zamek Ujazdowski [Centre for Contemporary Art Ujazdowski Castle], the National Theater, the Lodz Opera, Polish Theater, ZACHĘTA Narodowa Galeria Sztuki [Zachęta National Gallery of Art], Teatr Muzyczny ROMA [the Musical Theater ROMA], Drama Laboratory, and the Palace Museum in Wilanów. Awards: Medal of the Academy of Fine Arts in Warsaw, Honorary Award for the “Overall Business Activity” of Lady Business Club, from Elle Polska [Elle Poland]: "One of the Most Influential Polish Women", Designer of the year, Personality of the year. Original shows: New York and Paris, London at the invitation of Noise, fashion show in London Barbican. Publications: "Love your hair. How to have beautiful and well-cared hair "